North Toronto - Royal LePage Real Estate Services Ltd. The town of North Toronto was incorporated in 1890. It was formed as the result of an amalgamation between Davisville Village, Eglinton Village, and Bedford Park Village. At the time of its incorporation, North Toronto was primarily an agricultural farming community. However, large parcels of land in North Toronto were already subdivided, and were being held by speculators. The actual building of houses in this area began in the 1890's, when the Metropolitan Street Railway, made North Toronto the northernmost stop on its five cent line from downtown Toronto. 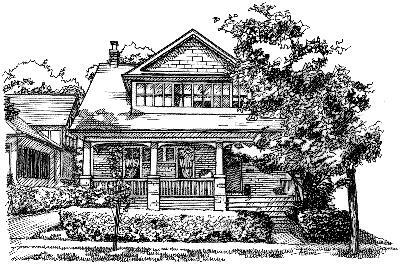 By the early 1900's, North Toronto had emerged as one of Toronto's most popular commuter suburbs. However, frustrated by the poor level of municipal services being offered by the Town, North Toronto residents voted in favour of Annexation to the City of Toronto on December 15, 1912. North Toronto filled in quickly after annexation and was completely developed by the 1940's.